← Great news for Floridians! As a title agent, this is a subject matter I run into and want to inform you, the buyer and the buyer’s agent, of. Though we, as a title company, handle multiple different things for you for a closing, the one thing we can’t do is fill out or submit your application to a Homeowner/Condo Association or management company. The buyer, themselves, have to fill out and submit their own application to the correct HOA or management company along with any application fees that may be due. The sooner, the better, even if that means paying the application fee up front well before closing. The buyer’s agent should assist or provoke their buyer into making sure that it is complete, as the agent should be well aware of the guidelines and provisions regarding that association. It is very important for you, as a buyer, to be in touch with that association or management company, as a pending application can sometimes hold up an estoppel, which will hold up an approval for closing, which in turn delays your closing. The listing agent, upon taking a listing, should contact the association or management company and find out if approval is first necessary. If so, how long it will take and if an interview might be required. All of this should be disclosed to the buyer at time of contract! As for the association, they usually have 15 business days to provide an estoppel letter with the payoff information, BUT this period of time can start AFTER they receive all of their required documents! So what should you, the buyer, the buyer’s agent or listing agent, know ahead of time: the ins and outs of the specific association or management company in which you hold a listing. Have a copy of the application for that specific listing in hand and ready to hand out. 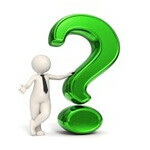 Buyer’s and buyer’s agent, ask questions, like verifying condo fees and what those fees cover. Also get a copy of the Rules and Regs. The more you know ahead of time the quicker you can proceed to the closing table! We only want to see a successful closing for all parties, if in doubt call us and we will guide you……..239-415-6574! Posted on July 27, 2012, in Title and tagged Closing, Closing Costs, Condo Association, HOA, Jennifer Ferri, Lien, Property Guiding, Property Taxes, SWFL Real Estate, Title Agent, Title Junction, Title Work. Bookmark the permalink. Leave a comment.